Video games are continuing to grow as a mainstream form of entertainment. Whether it’s tapping away on a smartphone or mashing the buttons on a controller, kids (…and adults) are increasingly turning to interactive entertainment over more passive activities like watching TV or movies. Along with this rise comes the recurring complaints about the negative impacts video games are having on our society: a lack of social skills, overexposure to violent and mature themes, addictive obsession, general lethargy. While these arguments certainly hold water in certain contexts, at their root they tend to blame video games for larger underlying issues. The fact of the matter is that video games are not the enemy. In actuality, video games can be the catalyst for meaningful growth and relationship building. When it comes to video games (as with most things in life) moderation and personal accountability are key. Ever since I was a kid, games have played instrumental roles in my education. I learned to read and do basic math computations years before even entering school thanks in large part to the educational games I played on our family Commodore 64 computer. This trend continued throughout my adolescence. My knowledge of grammar and geography can largely be traced back to avidly playing Reader Rabbit and Carmen Sandiego in grade school. The Sim City and Civilization games can be credited with my first exposures to economics and politics. Later in life, learning to code and program games of my own helped develop logical thinking skills that I employ every day in my teaching career. Video games are so effective in motivating me and countless others like me to learn largely because they give the players control. Rather than simply reading someone else’s words or watching someone else’s production, players have a degree of influence. In the case of educational video game experiences, the ability to learn and master the next skill or concept is what determines whether the player wins or loses. Making progress requires active participation. Most importantly, the process is fun! By playing, players are unwittingly making the choice to learn. While video games are certainly not always educationally-focused experiences, the increased engagement and strategic thinking they require can lead to positive growth in ways that channel surfing or clicking around the internet cannot. Studies have shown links between an increase in creativity among children who chose video games over other, more passive forms of entertainment. Gains in decision making abilities have also been found. Video games continue to grow in popularity and their positive impacts are beginning to receive more attention. It is no surprise that the psychology involved in creating and playing video games is finding its way into aspects of everyday life. In both the educational and corporate worlds, the concept of “gamification” is continuing to pick up steam. In basic terms, teachers and corporate leaders are finding ways to infuse the motivational elements used in video game design (getting to the next level, achieving the next incremental goal, acquiring the next power-up, etc.) into learning experiences. Teachers are designing classroom experiences that give students challenges and choices to motivate them to achieve larger learning goals. Corporate leaders are turning once boring office workflows into full-fledged gaming experiences. The reality is, the best video games excel at drawing players in and targeting the prefect balance of challenge and engagement. It is no surprise to see these same principles being used to great effect in other areas where motivation matters. For adults and teens, having personal experience with these concepts only serves to make gamification that much more viable. For as long as I can remember, games have always been at the forefront in my family. Every holiday dinner was followed by a massive card game with the family and friends in attendance. When I was in kindergarten, my grandfather would pick me up from school and we would set up a card table to play cards and board games for hours. Throughout my life, my dad and I would carve out time to play all kinds of games together like chess, spades, R.B.I. Baseball, Quake II, and Command & Conquer. My mom even got in on the fun once she discovered the puzzle classic Dr. Mario on our family Nintendo. These times spent with my parents and family members were engaging from both a competitive standpoint and from a conversational one. More than anything else, it was meaningful time spent together; games were simply the catalyst. It is from these experiences that games would go on to play key roles in some of the best friendships I have ever made. In middle school and high school, my friends and I would gather to do typical teenage boy things: we played sports, we listened to music, we hung out at parties. Some of my favorite memories, however, came from nights spent hanging out and playing video games together. We would play all kinds of sports and wrestling video games (even going so far as creating our own fictional leagues, wrestlers, and federations); but more often than not, those games were merely the shared background experience that led to building deeper friendships, trust, and common ground. It isn’t always easy as a parent to find reliable, meaningful ways to bond with a child, particularly a teenager. If video games can be a possible inroad, take advantage. Learn to play the games your teen enjoys and even offer to share some of your favorites from growing up. You can even tackle bigger projects like building a retro arcade machine together. 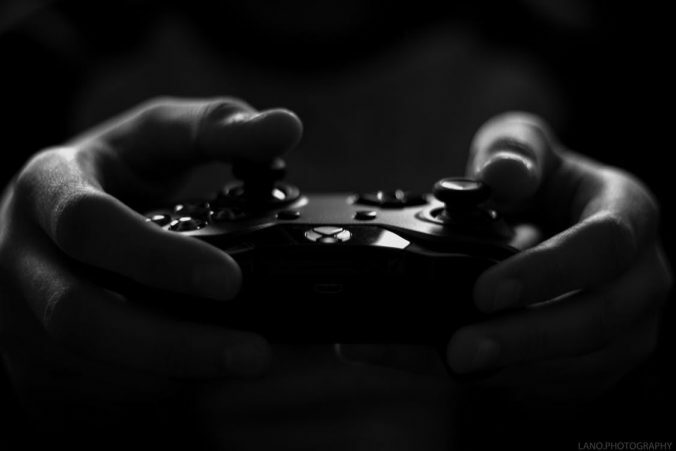 Rather than vilifying game playing as something that is isolating your teen, perhaps the activity can be a way to connect. There is something uniquely effective about the combination of play, strategy, and imagination that can draw people into a good video game. Sometimes game-makers do too good of a job. Video game obsession is real. You don’t have to search hard to find examples of people who have given into their gaming compulsions to such a degree that their social lives, familial relationships, and careers have suffered. Often times it is these type of extreme cases that cast the largest shadows. As with all things, balance is essential. While video games can be fun and compelling uses of free time, they can’t completely overshadow personal responsibilities and more energetic activities. For as much fun as my dad and I had playing baseball video games, we also invented a Wiffle Ball version of home run derby that we played regularly in the back yard. My friends and I would play Virtua Tennis against each other on the couch, but we also grabbed rackets and actually played tennis outside, too. Personally, although I have played video games throughout my life, they haven’t rotted my brain or turned me into some social delinquent; they have been a part of my life without becoming my life. We live in an increasingly plugged-in society. Video games can be an avenue to learning and bonding, but they can’t be relied upon to be the avenue. As a parent, it is important to remember that you are both the gate-keeper and the role model when it comes to your child’s digital lifestyle. If you feel like game playing is consuming too much of your teen’s time, it is up to you to set and enforce limits. If you are worried about offensive content or online behavior, most modern game consoles come with some degree of built-in parental restrictions that you can use to restrict access to specific content and features. At the same time, kids can sniff out hypocrisy. If you are imposing restrictions on video game playing only to turn around and sink endless hours into a game yourself, be prepared to be called out. If you outlaw donning a headset to voice-chat with online opponents, don’t turn around and start shouting at strangers over the internet while playing Call of Duty. There was a time where ignorance was the excuse when it came to parents trying to keep tabs on their children’s interactions with video games. In today’s connected world that can no longer be the case. Nowadays, most parents have some degree of personal experience when it comes to video games, and those that don’t have all the knowledge of the internet to help educate themselves. Take responsibility for the games and content that come into your home and don’t be afraid to set and enforce limits on when they can be played. Video games are not the enemy, but if you neglect to model and enforce expectations, they could upset the balance of a well-rounded life. What role have video games played in your family? Have you found ways to use games as a way to make connections? Share your experiences with our readers in the comments below!